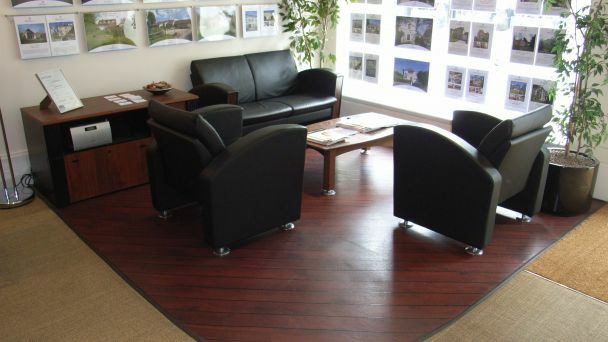 Our commercial interior design service creates an environment for your premises where your clients feel comfortable, welcome and valued, and your colleagues and staff are pleased to work. We look to create an interior that reflects the brand, image and values of your business. 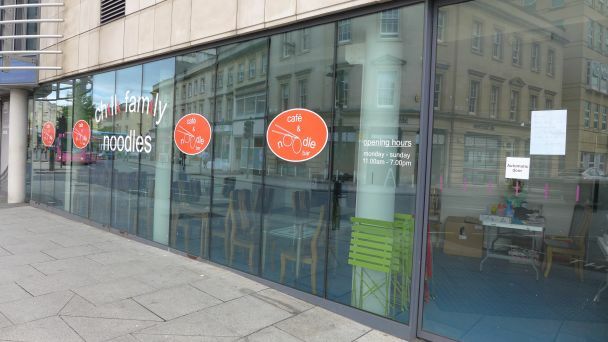 Whether an office, retail space, hotel, cafe, bar or clubhouse; even if your business is renting out properties, we apply our fundamental principles of practicality with style. Your business is precious to you. You have a vision for success; the values of the people working for you, the quality of your products or services, and the delight in your customers. You’ll have great marketing material and a website promoting your enterprise. As well as being a necessity for practical purposes, your premises are an important extension of your marketing strategy. Having worked in corporate life, we understand precisely the importance of brand consistency. If you offer a smart product or service, then the contact points with your market and your colleagues should reinforce that smartness. Similarly, if you deal in funky products, then your contact points should reflect that funkiness. The choice of furniture, flooring, wall colour, wash-room, art and other accessories all play a part. Equally important is the practicality of the premises; it has to function efficiently. There may be a customer facing space as well as several back-offices, so the requirements will be different in each case. 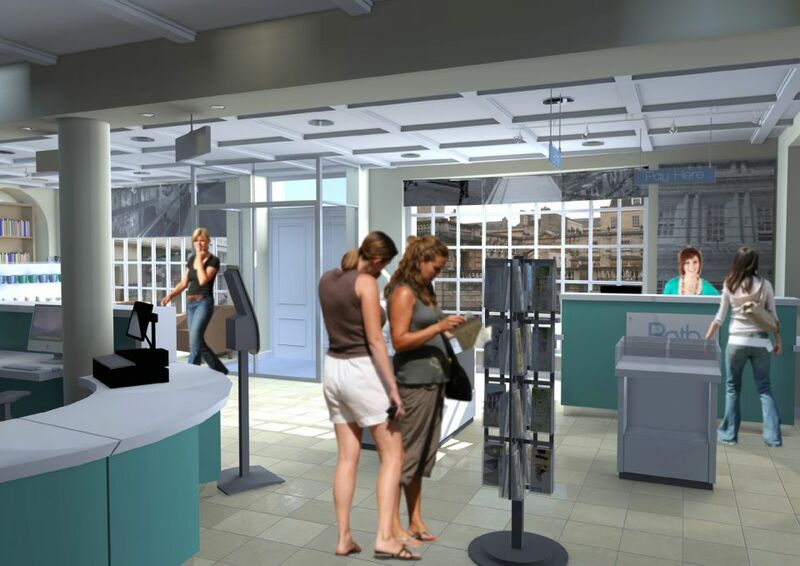 Any commercial interior design starts with our client’s brief. You would explain your requirements in terms of the physical, functional and aesthetic qualities required. We have a briefing pack with questionnaire which leads you through this; it draws out your storage requirements, surface space (for printers, etc), quantities and sizes as well as the look and feel of the different spaces. You explain any special requirements for staff or customers such as ramps or hearing loops. Our unique briefing process takes into account the business activity itself; we help our clients to realise that they could use space, equipment and storage much more efficiently, saving £1000s. The commercial environment also brings additional challenges: health and safety legislation, product durability and the competitive marketplace; these will all play a role in the interior design and decoration of a commercial premises. We mentioned earlier about how your commercial interior design should reinforce the image and brand of your company. 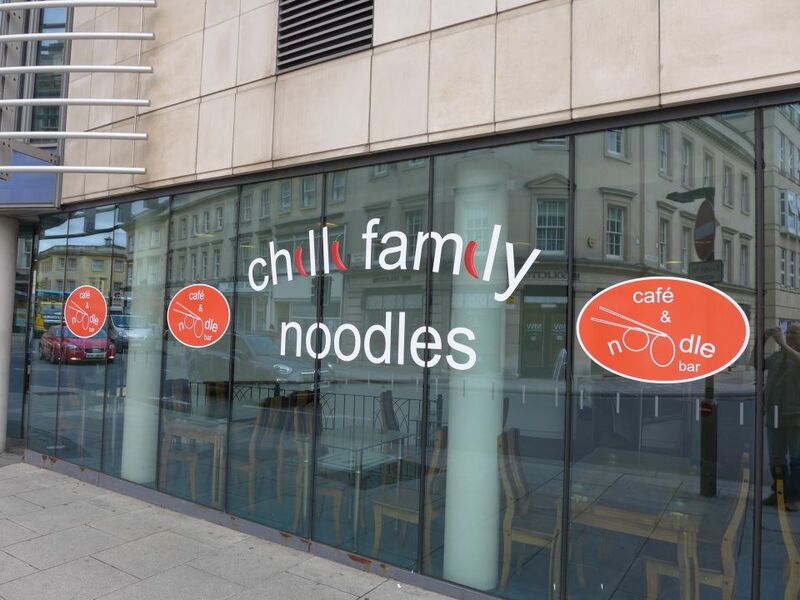 For this noodle bar start-up, we actually helped our client with their brand as well. The idea was for a welcoming, contemporary space but with a more Western than Eastern feel. So we designed the logo with modern typeface and funky colours inside and out. 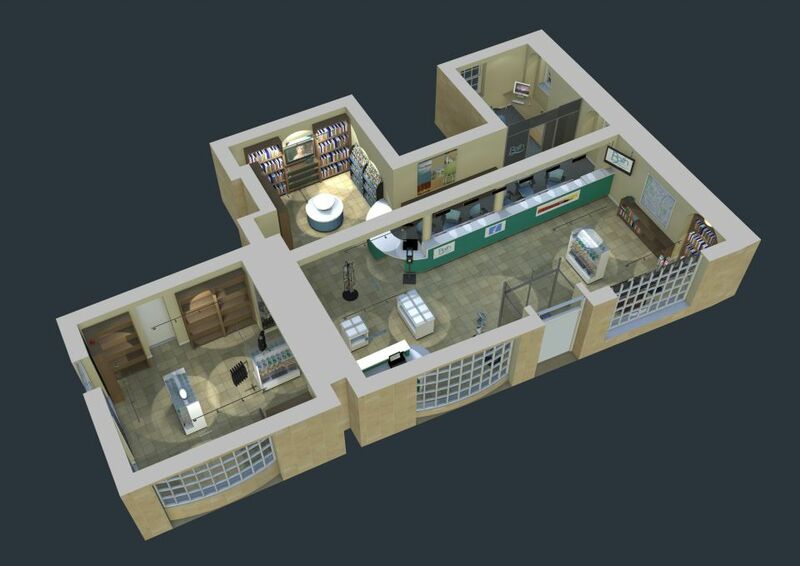 Our designs are always accompanied by 3D visuals to help you see how the space will work. Our visuals are produced from a model which we can modify quickly to evaluate options. They allow you to evaluate ideas more effectively before any commitment to any major expense. handing over fitted and furnished premises. If any architectural, structural, party wall, or listed building work is required, we co-ordinate that on your behalf as part of our total service. We would work with your IT supplier and any other specialists that you use regularly in transitioning to your new space. We bring samples to you of furniture and finishes which, together with the 3D visuals, give you a good understanding of how each space will look. If any thing needs to be made bespoke, such as a reception desk we would design and supply this too. If you have no regular trades, we work with local shopfitters, office fitters, contractors and suppliers to carry out the work. Our aim is to create a commercial interior design that helps promote your business in line with your vision and ambition; where your delighted clients pass on your name to their friends and associates. 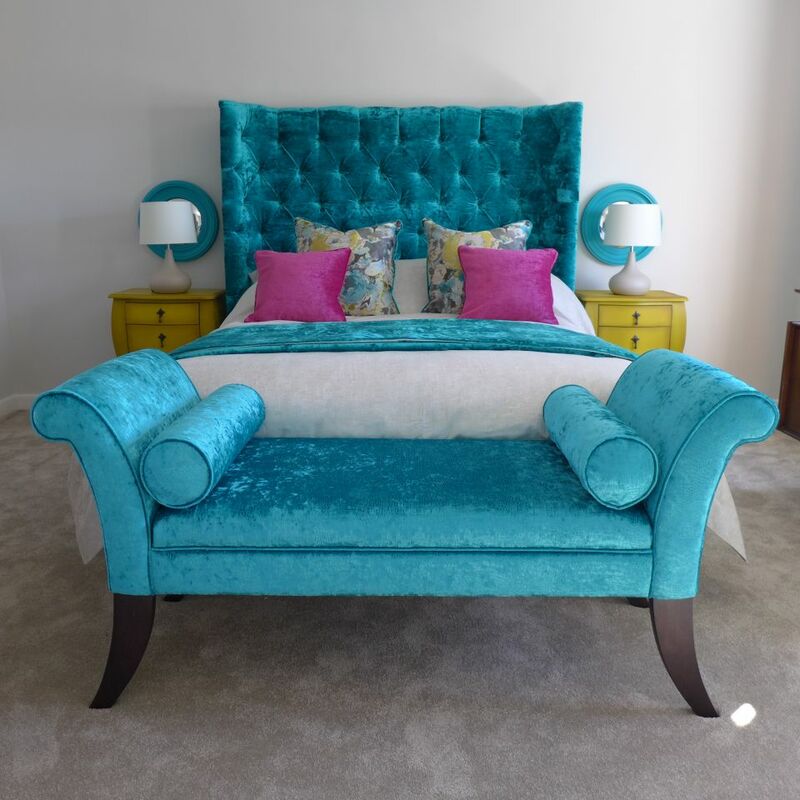 We want your clients and your staff to appreciate the importance you place on a great interior design that makes them feel comfortable, welcomed and valued. 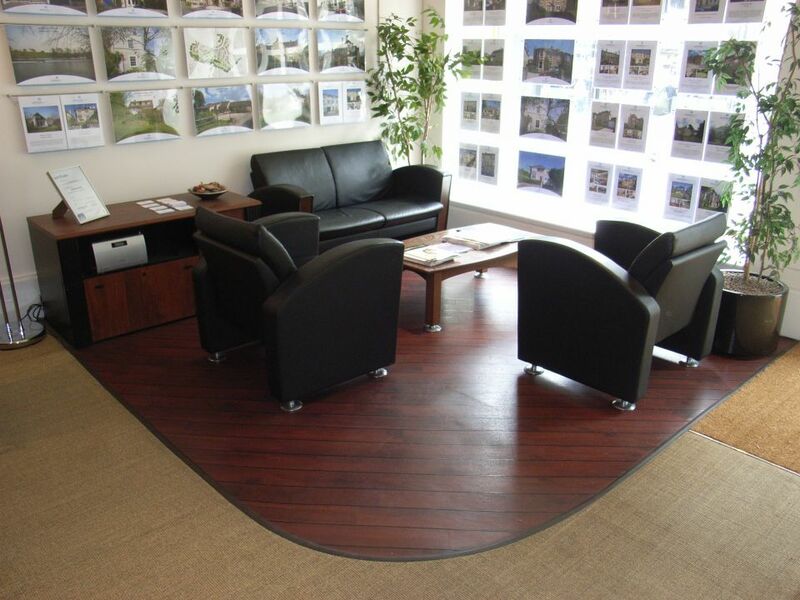 On this separate page you can see a selection of our commercial projects.